In this article, we are going to take a look at an excellent receiver from Pioneer that is designed to be installed in cars. Meet Pioneer AVH X390BS. This is a top-notch quality receiver the excellent features and performance. So, should you install Pioneer AVH X390BS in your car? Find out below! As usual, Pioneer AVH X390BS has a rectangular shape. It is designed to fit into a standard rack in a car. The installation process is easy. It has several connection ports on the rear that need to be connected first before you hit it in. On the front, you can find a wide color touch screen with excellent sharpness and color quality. See also: Pioneer AVH 290BT vs AVH 291BT. One cool thing about Pioneer AVH X390BS is that you can customize the colors and backgrounds. This is very nice, as you will be able to match the receiver to suit your car’s interior. You can also customize it every once in a while just to avoid getting bored. The USB port and the DVD slot are on the top of the front panel, so they are easy to reach. Pioneer AVH X390BS is equipped with excellent features. First of all, Pioneer AVH X390BS supports Bluetooth, so you can connect your Bluetooth-compatible mobile devices wirelessly to the receiver. This is very convenient, because you will be able to put the device on the back seat and it will stay connected to the receiver. In addition, Pioneer AVH X390BS supports dual connections. There are 18 FM and 12 AM built-in presets. By using the AM/FM tuner, you can use Pioneer AVH X390BS to listen to radio stations. Finally, Pioneer AVH X390BS has built-in Spotify, so you can easily stream your favorite music on the road. You can read the detailed specs from Pioneer Electronics here! Pioneer AVH X390BS has an amazing sound quality. It has four channels, each with 14 Watts RMS power and 50 Watts peak power. It very powerful, and it can easily fill your car with the beats. Pioneer AVH X390BS has also received lots of positive reviews that praise its sound quality. It sounds really great, even without using high-end speakers. It already sounds great with stock speakers. The bass is full and solid, and the mids and highs are crisp and accurate. You can further adjust the 13-band equalizer to get the best sound character. If you are looking for the best receiver for your car, Pioneer AVH X390BS is highly recommended. It is packed with excellent features, including Bluetooth connectivity and built-in Spotify. In addition, the sound quality is truly impressive. It sounds great, even with stock speakers. 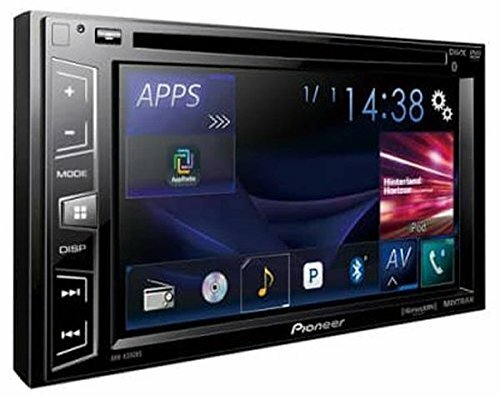 Check the best price for Pioneer AVH X390BS here!